Here’s one stool that’s just too cool for school. Furniture for kids has come a long way from cheap and nasty plastic chairs and tables. Far from simply being functional, children’s furniture can also be a play thing, educational, and beautiful to boot. Take the Toronto stool for example. It’s a simple concept that’s taken kids’ furniture to a new level. 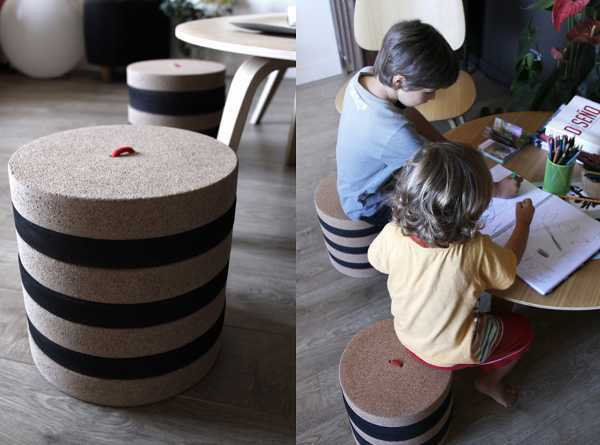 The Toronto stool is the brainchild of IN-TENTA, a design studio based in Barcelona, Spain. 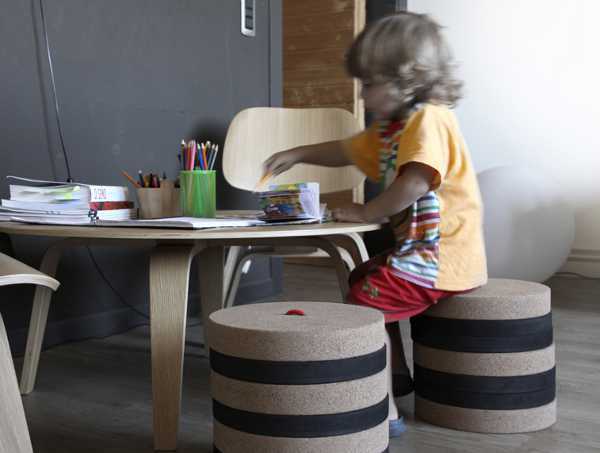 Made from cork and foam, the stool is a stroke of genius, as it can grow as your child does. It has detachable and adjustable pieces, and is suitable for indoor play. The height will obviously vary depending on how many discs are used, and of course because children are involved, the pieces can also be used as other things, like stepping stones. Have a look at what these children get up to with the Toronto stool. The Toronto stool is currently on show at Milan Design Week. The stool will soon be manufactured and sold through Made Design, with the price and distributors in new markets (which will hopefully include Australia) to be firmed up at the conclusion of Milan Design Week.